Nik Stauskas will play in The Land after all. The former Trail Blazers guard, who was traded three times and released last week, has found a new NBA home with the Cavaliers. Stauskas will wear the No. 1 jersey in Cleveland. 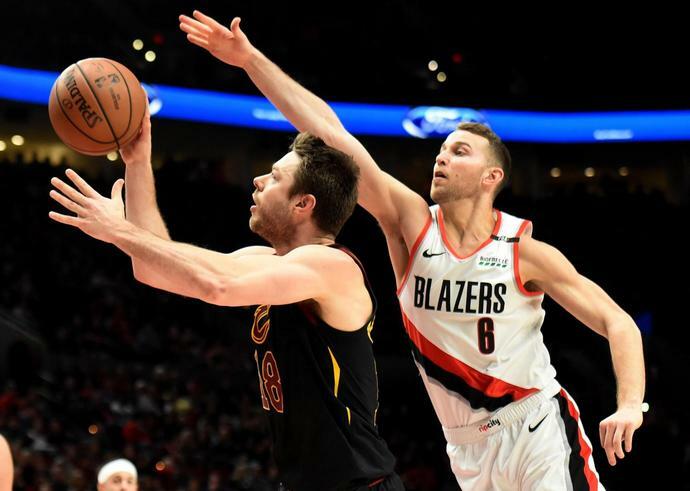 Stauskas was briefly with the Cavs, who acquired the 25-year-old guard from Portland as a part of a deal for Rodney Hood. Two days after being sent to Cleveland, Stauskas was traded to Houston in a three-team involving Alex Burks. He was later traded to Indiana ahead of the NBA Trade Deadline, where he was subsequently waived and picked up by the Cavs in free agency. Following Stauskas' whirwind journey across the NBA, Blazers general manager Neil Olshey said he didn't think it was fair that Stauskas, and his former teammate Wade Baldwin, were traded four times in 96 hours, but he was confident the two players would find a future home. "I actually don't think it's fair," Olshey said in an exclusive interview with Blazers insider Dwight Jaynes. "But you want to be where you're wanted. You want to be where you'll have a role. When the musical chairs stop, they'll end up in a situation where they both find teams and they'll both find good situations." Olshey was right. It looks like Stauskas is fitting in already. In 44 games for Portland, Stauskas averaged 6.1 points, 1.8 rebounds and 1.4 assists. He shot 41.9 percent from the field and 34.4 percent from 3-point range. The Cavs and Blazers will next meet on Feb. 25. Stauskas is expected to make his debut tonight, as the Cavs take on the Knicks at Quicken Loans Arena.